Each year the world seems to urge that preparations for “The Christmas Season” begin even earlier than they did the year before. “Jingle Bell Rock” starts chirping out over store PA systems barely after Halloween. Light displays are erected in early November and often illuminated well in advance of Thanksgiving. The Christian calendar prepares for Christmas differently–though surprisingly early as well. On March 25–exactly nine months prior to the December 25 date established in 325 CE by the Council of Nicaea as the date of Christmas–the Feast of the Annunciation is traditionally celebrated, commemorating the visit of the archangel Gabriel to the teenaged, unwed Mary to announce to her that she has been chosen to conceive and give birth to the son of God (as told in Luke 1:26-35). In this way, the Annunciation also prepares us for Christmas. Accordingly, tonight’s program features at least two works focusing on this theme, one of them the keystone of the program: the powerful King’s College version of the Magnificat and Nunc Dimittis by Herbert Howells. A second sub-theme of tonight’s concert reflects both sacred and secular Christmas-caroling traditions. Following the intermission Director Stephen Mulder has cleverly programmed a selection of carols with numbers in their titles or otherwise focusing on the uses of number symbolism both for devotion and for entertainment. Numbers, dates, and expanding calendars all relate to time, whose technical measurements may frustrate our longing for the simple joys we hope to find in “the true meaning of Christmas.” Music also depends on the measurement of time. Monday night GCA rehearsals often include exercises in the Robert Shaw “count-singing” method of learning rhythms and building ensemble. Yet above all these time-demarcating conventions and cultural habits rises the song (is that the angels we hear?) of the entry of Timelessness into our time, of the Infinite into our rude cipherings and approximations. We of Griffin Choral Arts “wish you a merry Christmas,” in the hope that tonight’s music will allow it to be timeless as well. Arranged by John Rutter, this traditional carol comes from Cornwall, in the southwest of England, whose original language traces to Brythonic (Breton, or “Briton,” a branch of Celtic) rather than to English roots. While the carol was transcribed in the nineteenth century it may have come from earlier times. The title refers to a village named after a patron saint of the area, Saint Day (or Saint They). The first three stanzas of the song are attributed to a legendary singer from the village, with the fourth stanza added by later Cornish tradition. The imagery of the lyric bears a characteristic Celtic flavor. The end-rhymes provide clear evidence of the differences in pronunciation between British and American English. And the first tree in the green-wood, it was the holly! And Mary bore Jesus, who died on the cross. And Mary bore Jesus, who died for us all. Then trust we our Saviour, who rose from the dead. Both words and music are by the now-Godfather of the contemporary Christmas carol, British composer John Rutter. Among his more youthful carols (published in 1974), the folk-style “Jesus Child” imitates calypso music and, in its lyrics, Caribbean vocabulary and speech rhythms. Mary was his virgin mother pure and mild. Sing alleluia, worship the Jesus child and praise his mother mild. Save my soul and bring me to paradise. Let me join the angels singing glory to thee. This beloved German carol was created by Joseph Mohr (lyrics) and Franz Gruber (music) in 1818 in a time of war and economic depression. Tonight’s arrangement–by Sir David Willcocks (b. 1919), legendary Director of Music at King’s College, Cambridge, from 1957-1974–preserves the simplicity and rhythmic idiom of the original folk tune. Only the loving, holy pair. Christ, the Savior, is here! The translator of the Latin hymn Adeste fideles, Frederick Oakeley was an Anglican cleric who converted to Roman Catholicism in 1845. The musical setting–including the famous final-stanza descant–is by David Willcocks. This carol, by German Lutheran composer Samuel Scheidt, employs a double choir. The “macaronic” lyrics combine both Latin and German (the latter translated into English for this arrangement by David Willcocks). A Child is born in Bethlehem, Alleluia. And joy is in Jerusalem. Thou Son of Mary, mother maid. Samuel Scheidt was an important transitional figure between late Italian Renaissance composers such as Gabrieli and northern European baroque composers, through his associations with his contemporaries Heinrich Schütz and Michael Praetorius. The “modernizing” of the Italian Renaissance motet is evident in the increasingly close “fit” of text, tune, harmony, and structure. The melody Puer natus in Bethlehem arose (perhaps as early as the thirteenth century) from a liturgical trope whose addition to the chanting of the mass for the first day of Christmas may have been an attempt to make the service more “folksy.” The tune remained popular well into the baroque era, influencing Bach’s uses of it in several of his choral and organ works. The use of the English folk tune “Forest Green” with this carol is more common in England (along with the equally popular tune “Wengen,” by H. Walford Davies) than is the use of the “St. Louis” tune more familiar in the United States. The arrangement is by Ralph Vaughan Williams and Thomas Armstrong. This is another Basque carol (arranged by David Willcocks), whose tune (also known as “Gabriel’s Message”) is becoming more widely used in American hymnals. The text (from perhaps as early as a fourteenth-century Latin hymn, “Angelus ad Virginem,” again translated in the nineteenth century by Sabine Baring-Gould) tells the story of the Annunciation and of Mary’s response—which is re-introduced in the major work to follow in tonight’s concert: the Magnificat of Herbert Howells. “All hail,” said he, “thou lowly maiden Mary, Most highly favour’d lady, Gloria! Thy Son shall be Emmanuel, by seers foretold, Most highly favour’d lady, Gloria! My soul shall laud and magnify his holy name.” Most highly favour’d lady, Gloria! Among the most memorable experiences possible for a music lover (especially a lover of church music) is sitting in the “choir” area behind the high altar in a cathedral of the Church of England and participating in the late afternoon service called Evensong (referred to in some other Christian denominations as Vespers or Evening Prayer). Choral Evensong always features the canticles called the Magnificat and the Nunc Dimittis, sung by the highly trained choir of men and boys (and, with increasing frequency, of women and girls) and accompanied by the cathedral’s mighty pipe organ. We have the privilege tonight of imagining ourselves in such a setting, for we have all the ingredients: an excellent pipe organ and organist, fine acoustics, a well-prepared choir, and a ready and open spirit in the assembled congregation. The term “Magnificat” is the Latin word for the first of the famous words spoken by Mary in response to the Archangel Gabriel’s “annunciation” to her that she has been chosen by God to be the mother of Jesus. The version of these words printed below is from the KJV (Luke 1:46-55) and the Anglican hymnals and Book of Common Prayer used by Howells. As with the Magnificat, the Nunc Dimittis (also known as the Song of Simeon) is also always followed by the Gloria Patri. Herbert Howells is now esteemed as one of the giants of Anglican church music. He studied at the Royal College of Music under other greats of Anglican tradition: Charles Villiers Stanford, Hubert Parry, and Charles Wood. He was also an early admirer of Ralph Vaughan Williams, regarding him throughout life as his mentor. Adding continental spice to tonight’s mostly English yuletide wassail is this organ “improvisation” on the traditional Christmas tune best known in hymnals as “Good Christian Friends, Rejoice” (although a more literal translation of the medieval macaronic Latin/German “In dulci jubilo, nun singet and seid froh” is “In sweet rejoicing now sing and be glad”). Karg-Elert’s genius lay in his organ fantasias (“flights of fancy”) upon well-known chorale tunes, perhaps the most familiar of which is his setting of “Now Thank We All Our God.” His treatment of In dulci jubilo establishes the complete melody of the chorale in the first sixteen measures (unlike his fragmentary “quotation” of the Nun Danket theme in that fantasy), before embarking on the rich, imaginative variations that luxuriate in all the available colors and dynamics of the organ. The German-born composer Karg added the name “Elert” early in his career at the suggestion of his concert agent. In 1919 he became a professor at the Leipzig Conservatory, succeeding Max Reger. This fantasy on In dulci jubilo was published in 1914. The familiar text was first published by its author, Charles Wesley, in 1739. The well-known tune is by Felix Mendelssohn, and is famously ornamented by the third stanza descant by Sir David Willcocks. The frequent mis-reading of the title is appropriate nonetheless: this remarkable lyric (translated into Russian from an anonymous English source by nineteenth-century Russian poet A. N. Pleshcheev) does indeed refer to the Crown of Thorns, though in the context of a legend about the boyhood of Jesus. Wherein he cherished roses fair, and wove them into garlands there. And seeing roses on the tree, with shouts they plucked them merrily. “Do you bind roses in your hair?” they cried, in scorn, to Jesus there. Till on his forehead fair and young red drops of blood like roses sprung. This carol, also often referred to as “The Legend” or as “Tchaikovsky’s Legend,” is the fifth item in his Sixteen Children’s Songs, opus 54 (1883). The theme was used in an unusual string quartet (consisting of violin, viola, and two celli) by a near-contemporary of Tchaikovsky, Anton Arensky, who believed that the additional cello reflected the dark character of the song. In characteristic Russian choral style, the ending requires the basses to sing a low B (two octaves below middle C). Yet a third Basque carol in tonight’s sampling, this arrangement is by David Willcocks, with words by Sabine Baring-Gould. A beautiful, tender lullaby, the carol even anticipates the Passion, Crucifixion, and Resurrection (Easter’s “gladsome morning”). This traditional English carol is arranged by Stephen Cleobury, current Director of Music at King’s College of Cambridge University in England. The title reference is to the Seven Joys of Mary (an alternate title for the carol), a common theme in medieval devotion to the Virgin Mary (though the numbers of her joys ranged variously between five and fifteen). Not only a carol about numbers, it also employs a “counting” motif similar to that used in the well-known “Twelve Days of Christmas” following next on tonight’s program. The source of the text is the 1871 collection Christmas Carols New and Old, compiled and edited by Henry Bramley and John Stainer. Both Father, Son, and Holy Ghost to all eternity. Perhaps of particular interest to American audiences are the variations of the words used in Appalachian versions of the carol (as collected by John Jacob Niles). Unlike the mainly Anglo-Catholic versions used in England, the more sentimental “protestant” Appalachian versions refer to “her little Jesus,” and often list Mary’s “blessings” (rather than joys) in order thus: (1) God’s only Son; (2) could read the Bible through; (3) could make the blind to see; (4) would live to help the poor; (5) could bring the dead alive; (6) was her Godly Son; (7) was safe at last in heaven. Its lyrics no longer thought to be a secretive “code” for memorizing the catechism by English Catholics during Protestant persecutions in the sixteenth century, this well-known carol is now regarded as the straightforward celebration of the Christmas gift-giving of which it sings. Tonight’s humorous, often “sound-painting” arrangement is by John Rutter. This English carol is based on the night watchman’s cry. The source for the published version of the traditional carol is The Cambridge Carol-Book, being Fifty-Two Songs for Christmas, Easter, and Other Seasons, compiled and edited by Charles Wood and George Ratcliffe Woodward (London, 1924). Of special note is the musical and verbal wit of the close, multiple rhyming. Past three a clock; Good morrow, masters all! Son of th’eternal father supernal. Hark, how they rime it, time it, and chime it. Ne’ertofore so well caroling Nowell. Princes, to meet him, worship and greet him. Nor is the golden nugget withholden. Till ye confess him likewise, and bless him. This popular yuletide carol from the West Country of England is arranged by Arthur Warrell (1883-1939). A popular yuletide concert and caroling-outing “closer,” it also brings this evening full circle, perhaps in a surprising way. 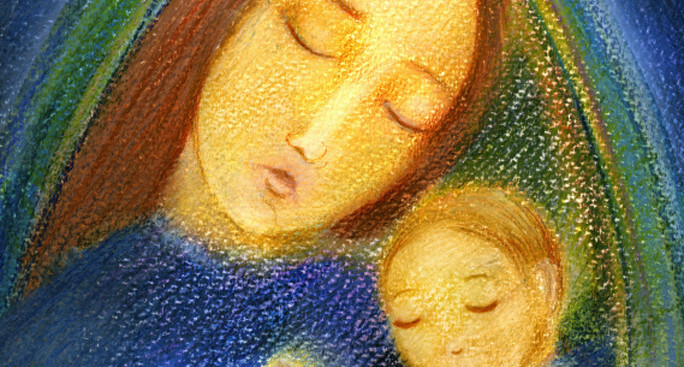 It shares with Mary’s “Magnificat” a wider theme of social justice. Mary sings, praising her God: “He hath put down the mighty from their seats: and hath exalted the humble and meek. He hath filled the hungry with good things: and the rich he hath sent empty away.” Too often forgotten in the “spirit of the season” is that “We Wish You a Merry Christmas” was often sung by the poor, begging for food at the wealthier homes they were serenading. As we depart tonight, may these realities remind us of the benediction that concludes worship services in many faiths: Go in peace. Remember the poor.